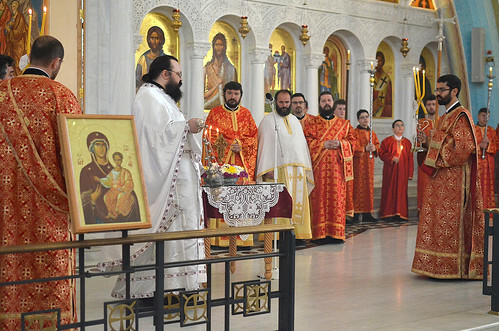 Please prayerfully consider making a gift to further Orthodox Christian Missions. Help the Church reach those still in darkness this Thanksgiving. Ermir, a Muslim, walked into an Orthodox church. I'll tell you what happened next in a minute. But first I have a request: Will you send a Thanksgiving donation now to support your Orthodox Church around the world? I ask because the need is great. And the opportunity to draw people into the Holy Orthodox Church is even greater. Please prayerfully consider making a gift to the OCMC this Thanksgiving. Your donation will build and strengthen the Church. This is one of those important moments in history. What you and I and other Orthodox believers do now to grow the Church will make a difference for years to come. Your decision will echo for generations. We could see an explosion in the growth of the Church. People like Ermir, the young man I mentioned at the beginning of this letter. Ermir is a young man in Albania. He was raised Muslim. One day, Ermir did something unusual. He walked into an Orthodox church in his town. That's not something most Muslims in Albania would ever do. But Ermir wanted to see, bless his heart. And I have to think an Angel might have been encouraging him! The young Muslim was overwhelmed by the beauty of the church. The icons. The decorations. The flickering candles and vigil lamps. He may have caught a whiff of incense. He was transformed. Ermir knew he had to embrace the Orthodox Christian Faith. He went through catechism and received Holy Baptism. It was a big step. And not easy. Ermir worked at a pizza restaurant. It was a good job, something that's hard to find in Albania these days. The owner was a Muslim ... he fired Ermir on the spot when he found out he was a Christian. Ermir wasn't discouraged. He was so happy in his new faith. He got involved in his church and met our OCMC missionaries. Now he's working as a translator for the Church in Albania. He's also a youth leader, helping young people grow in their faith. Muslims, atheists, even Christians who wandered from the faith. Like Ermir, they are ready to become Orthodox Christians. We need to be there to meet them when their moment comes. And your gift will put OCMC missionaries into strategic spots like Albania, where they'll help the local churches reach out and effectively welcome seeking people who are ready to join us in the Church. Your kind gift today will mean new life for more people. And a stronger, growing Orthodox Church. I know that's something you care about. You understand what OCMC missionaries can accomplish in places like Albania. Please pray for people like Ermir in Albania. Ask the Theotokos — she's the patron of Albania — to intercede for every searching soul. Ask her to guide each one to the Orthodox Faith. And while you're praying, think about your part in their journey. By giving now, you'll gently help them find their way. You can make this your gift of gratitude this Thanksgiving. What a beautiful way to begin your journey to the birth of Christ this year. P.S. This Thanksgiving, I urge you to celebrate God's gift of our precious Orthodox Church by helping spread that gift. Your gift will support the work of our OCMC missionaries in Albania and other places.